Northridge, Calif & London (April 5, 2018) – HARMAN Professional Solutions, the global leader in audio, video, lighting and control systems, including networked AV, today announced the grand opening of the HARMAN Experience Center – London. The new facility expands the growing global network of HARMAN Professional Solutions Experience Centers, including locations in Los Angeles, Singapore and Shanghai, and will serve as the new headquarters for the EMEA region. 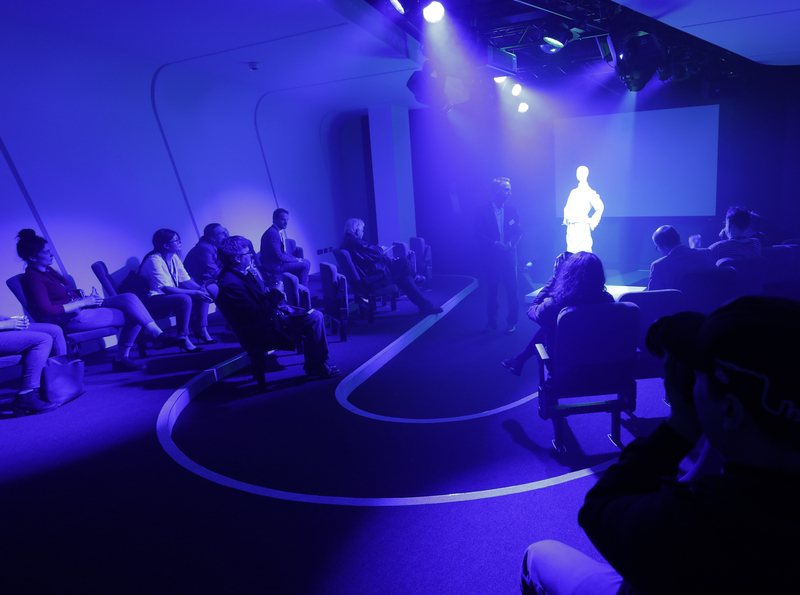 The HARMAN Experience Center—London is comprised of several dedicated spaces along with the EMEA office space and meeting rooms.The Product Showroom is filled with HARMAN solutions including HARMAN Connected Retail Experience, Huddle Space, Connected Hotel Room, Home Recording, Networked AVoIP, and much more. The Foyer, Boardroom and Auditorium are not only practical-use spaces, but also areas that demonstrate HARMAN solutions for restaurant, corporate, education, corporate, and theatre environments. and enterprises worldwide, including connected car systems, audio and visual products, enterprise automation solutions; and services supporting the Internet of Things. With leading brands including AKG®, HARMAN Kardon®, Infinity®, JBL®, Lexicon®, Mark Levinson® and Revel®, HARMAN is admired by audiophiles, musicians and the entertainment venues where they perform around the world. More than 50 million automobiles on the road today are equipped with HARMAN audio and connected car systems. Our software services power billions of mobile devices and systems that are connected, integrated and secure across all platforms, from work and home to car and mobile. HARMAN has a workforce of approximately 30,000 people across the Americas, Europe, and Asia. In March 2017, HARMAN became a wholly-owned subsidiary of Samsung Electronics Co., Ltd.